I am here to invite you to come along for a time travel adventure as we take a look at the past year through the eyes of members of Ninth Council of Stellar Management, especially timely since players have already started to toss their hat into the ring of the Tenth Council elections. For those readers who are new to EVE, or who are unfamiliar with what exactly the CSM is, let me explain in a little more detail. The Council of Stellar Management is a democractically elected body of fourteen EVE Online players who are chosen annually by the EVE Community and represent various demographics within New Eden. Council members are in constant contact with the EVE Online dev team in order to have a front line, up to date view on features and improvements that are currently being developed for EVE. They are also responsible for bringing the opinions, concerns, suggestions and ideas of their constituents to CCP for consideration. They sign a non-disclosure agreement so we can bring even more ideas to them, many of which we may not take beyond the initial design phases. This time around as their term comes to an end, we decided that CSM members should speak directly to you about how 2014 has progressed in the form of a guest blog. With almost no edits made, we are releasing it into your hands to provide the most clear and comprehensive look at the CSM’s year from some of those who were on the council. The CSM is an institution that is in constant development and it would be unfair to say that it is perfect. There have been ups and downs during the course of this year and we have had to find our weak spots to ensure that we are developing an efficient working process to fit our new, faster release model. There are even more changes coming with the Tenth Council, a lot of which will be revealed with my next blog regarding the upcoming opening of candidacy for CSM X. We are incredibly thankful for the contributions that the delegates of CSM 9 have brought to what has been a year of great change for CCP, and would like to express our gratitude for their dedication and candid communication when dealing with the challenges we’ve faced this year while adapting the CSM to fit with the new release model. I am 42 years of age, Dutch (horrible English spelling), father of 4 daughters, and I freaking love EVE. This is not my first CSM elections, as I ran last year as well, but sadly fell short of the mark. I didn’t get a seat, so I decided to try a different approach this time. Thus, I focused on just my own list, my friends, Providence and other entities I have come to know over the years, such as RNK for example, who voted for me. I stayed away from all the backroom dealing that went on with the previous CSM elections. So I had no crossvoting on my list, nor did I appear on other lists. And we didn’t need those either, I got voted in bigtime. My own explanation for getting elected is simple: Being honest and loyal to the people I fly with against. Independent voters do exist, in fact, and I have had a lot of chats and EVE mails with various people since I ran for CSM, many of which I have never met before. Also running fleets daily with friends on fixed hours and shared coms helped, while giving respect to the new players and the casual PvPers, for 3 years now in the Providence Bloc. Being a part of building the current Providence, a region which sees medium sized skirmishes on a daily basis, with thousands of allies having fun living together, ranting and complaining and establishing their homes here helps to get votes. Upholding NRDS, and turning The Volition Cult from a four hundred pilot alliance into its current huge one thousand and seven hundred pilot affair is no lesser help! So, just elected, and I didn’t even have time to let it sink in as the work just piles up: Twitter account, Google DocsDrive, Skype, hundreds (Literally!) of Emails, not to mention the Non Disclosure Agreement (NDA)…It is a bit overwhelming, even if I am on cloud nine, as my wife even kind of congratulated me (Since this will have an impact on my real life obviously) and my kids think I am the greatest, even telling everyone at school!. A CSM team where most are red to me ingame is funny to begin with. Some more experienced and new members reached out, others did their own thing. I was hoping for a csm team, though its often occasional clusters. Communication is key, obviously, so I set up a twitter account: @corebloodbro. Which I use frequently , I am active on forums and other means of communication. Within my region through open sessions on mumble, Eve email explodes sometimes, internal CSM forums, all highly addictive for a eve junky with a RL and a job hehe. In my evesterdam speech I announced a lot of things that kept me busy in the CSM, and events like blink, freighter changes, null sec, leaving of several CSM members, that impacted our term and your future. I quickly came too the realization that the meetings with CCP where often during my work. At the start I sneaked hem in at work, but that didn’t feel right. Often there where recordings available. 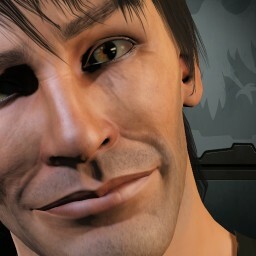 And CCP Leeloo always announced when they where crucial and asked for us all. 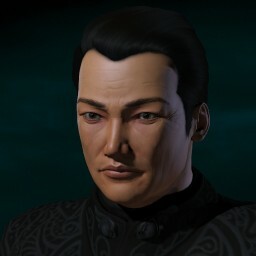 Sometimes that makes you feel a bit guilty, but in the end I balance that with forums, and other stuff, like a speech, interviews, twitter, and of course my vast experience in null sec as provi member (wink). I was very happy with PI acces too null for everyone, which is a big thing in a open region. The nerf on power projection and the upcoming occupancy get from me a standing ovation. 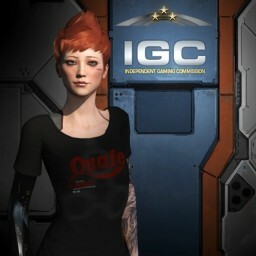 We felt with isboxer we where talking too a wall, but CCP came around big time. I hate isboxer bomberwings. With Blink we saw a CCP struggling , investing time and make clear who is in control of EVE. The whole 3 days they stayed very much in touch with us, the CSM. So much to list, sometimes you stand aside, sometimes you don’t agree, but I am extremely proud of the course EVE and CCP is moving with the CSM. 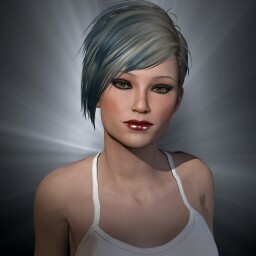 The release cycle based on sprints is giving us more content and features then you have ever had in EVE. Crest, occupancy, wormhole, so much more too come, and every month the box of Pandora opens. I cant wait for what CCP throws next at us. Some people ask me if I feel a CCP pet, a token public figure rather then a council. Being in for the bigger part of the term the answer is no. If you really like to hear more about that, listen too the evesterdam thingie, though I warn you , its 1 hour…. CSM10.. when I started CSM was something I always wanted to do, much like owning a titan, building a station, owning sov, kill supers. It turned into much more, a way to express love for EVE, respect for the people that build it, and a way to make a voice heard that wants to help EVE into the next decade. I never thought I would like to run again, but I will if providence region keeps appreciating me as their representive also for next year. Of course it’s not just your alliance and friends. I have gotten so many votes from friends, reds, people who believe null sec is more than 2 blocks nailing each other too the wall. Small scale PVP, localized conflicts, occupancy based sov, and income, build local, sell local. Close communities and the this is eve feeling expressed in the awesome new video. Winter summit and fanfest are still too come, and have offered the opportunity to attend them both, which is epic. I met more people this year than in a entire eve life,of all sorts and sizes and met unexpected friends and enemies. So make sure you vote for CSM 10, last year my election was a surprise too many, this year lets show this wasn’t a one time event. 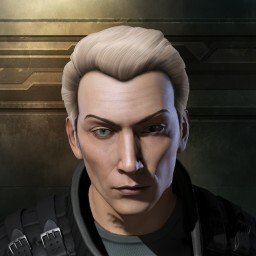 I will be running again for a null sec outside the major blocks, for a daily skirmish based game play where you don’t just login when you get a jabberping. Where 1 big war is replaced by 10-15 localised ones. Where fatigue matters and adds a tactical layer. Eve is a niche game, cut throat, insanely caring, and one hell of a rush, call me an EVE addict! See you at Fanfest 2015, EVEsterdam 2015, provi Copenhagen and in game. Here’s a list of stuff that I’ve taken part during this term. On starting the CSM I wanted to look at the income in lower class wormholes. The problem was it just wasn’t accurate enough and while it did give some very useful numbers like, how much the income was from salvage, and now much of the site was from melted nanoribbons. It wasn’t accurate enough for me. Second results can be found here. This gave a much better break down on the income which I was much happier about. I also did a simplified version for general release to W-space, found here. The total time spent for these two tasks was over three hundred hours. This includes getting modules, fitting ships, finding wormholes, and all of the little details needed to set up and run sites. Wormhole little things were next. This started as a general little things thread on the forum found here. I gathered most of the good ideas in this google doc. Asayanami Dei has since tied this up a lot. A fair few of these little things have already been done. Sigs staying over down time and splitting of probe scanner and D scan have been HUGE quality of life things for W-space. Next came PvE little things. This came from the sounding board (more on this later), where CCP Affinity suggested setting up a thread for wormhole PvE little things.The thread can be found in this thread. During the summer sumit I realized that there was conflict between how the developers felt about w-space and how the residents of w-space reacted to potential developmental changes. The negative push back from the player base did affect the potential of changes to some degree. What had to be made clear was that the player reaction was their passion for wormhole space and their desire to not lose anything that they loved about it. I was blunt. If people wanted interactions with developers they needed to control their emotions and be productive with their criticism. I decided to set up a Skype “wormhole round table” channel with assorted members of wormhole space and several developers who were doing work inside of wormholes. At the present it has 4 CCP people in (big thanks to CCP Affinity, CCP Fozzie, CCP Leeloo and CCP Manifest) and 21 W-space people mainly diplos/leadership from C1 to C6 and 3 CSM (Me, Asay and Sugar). both me and Asay have been slowly adding people to this channel. So far I’ve had no complaints from CCP members in here and hope its helped out. So far I’m pretty pleased with how its going. The next project was the POS research I sorted a questionnaire and had CCP Nullabor check it out made a couple alterations on his suggestion. I then sent this out to around 100 people in W-space who said they would help. This included a spread sheet and a word doc with the information I had gathered. I was also lucky enough to interview a few people, some of which had documents prepared for me in the way of either, blog posts or word docs. For the eve trailer I made sure people in W-space knew about this and to send in videos. I also linked various wormhole groups videos to CCP Prawn along with a link to the W-space video thread. I also sorted out getting them some footage of wormhole PvE. 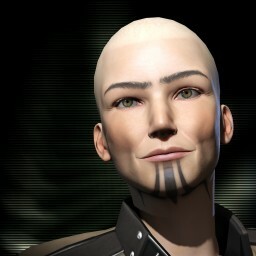 Recently when CCP Mimic was after groups of people who were helping new player, I managed to put her in contact with various people who were organising and sorting things for new players. This is potentially one thing I do think CCP could make more use of us, The CSM in general know alot of people so can often help CCP get in contact with people for various things, be that video makers, groups helping others, people for interviews, etc. I’ve organised 4 Wormhole townhalls and 9 sounding board meetings. This has focused mainly on PvE and has been a huge success. CCP Affinity has been to the last few and asked if this could branch out and also do a general PvE one as well, which I take as a very good sign. This has also helped with the players getting to interact with CCP as well. This has also lead to the PvE little things thread. I've also sorted one on clothing and pos's (with the help of sugar) With us being asked if we'd do another pos (structures) one in the future. I’ve also been along to all of Sugar Kyles CSM Q&A sessions (12 so far). At present I have 379 eve players on skype (mainly wormhole people) making it very easy for people to get hold of me. I’ve managed to make all the CCP meetings except one and have written up a good amount of minutes for them. Some CCP teams/groups make great use of the CSM, but I feel some groups don’t, be it they don’t think we would be interested, They maybe don’t see how we could of helped. I’m not suggesting we can help in every team/department, but if we don’t know about stuff we sure as hell can’t help. One project that I am quite proud of has been my “From the Players to CCP” document. I created a document of questions and ideas collected from the player base over the months leading to the September Summit. I organized them into the session topics and printed it out. It was my go-to checklist during the Summer Summit and I attempted to get every question answered. I’m currently composing one for the Winter Summit. I started a proactive PvE fixing project. There were so many little irritations that I had heard the same complaints about since I started the game. I decided that now that I had more access to the development staff that I would see if I could get some of the daily annoyances cleared up. The project led to a balance pass on escalations released in Phoebe. During that, several DED complexes that had microwarpdrive restrictions were corrected. This has involved numerous small fixes to missions and complexes, improper accesses, and such things. The ability to warp your fleetmates to your escalation was added. I have been running Open Question and Answer sessions. I try to run these monthly and have other members of the CSM in attendance. The goal of these sessions has been to collect problems, concerns, and thoughts as well as sharing what the CSM is up to on a one-to-one open floor format. I run these at different time zones during the weekend to cover as many playtimes as possible. I have also joined Corbexx with his soundboards having done one for PvE and another for structures with more planned. I have attended the CSM 9 Town Halls that have been presented. I have attended some of Corbexx’s wormhole town halls as well. I’ve also been available at local player gatherings and events such as Eve Vegas where I had many good conversations and even let myself be roped into a session on the live stream. I transcribed nine of the sessions for the Summer Summit minutes. I write a weekly roundup of my CSM activities. This is a mixture of awareness with direct links to developers blogs and posts and personal opinion, thoughts, and input into the process. Occasionally, I write direct opinion pieces and appear on podcasts or take interviews when asked. The bulk of my game time is spent interacting with the players. I believe it is my duty to be accessible. I have an in game chatroom where people can easily come and find me for a chat. I’ve encouraged crowd sourcing of topics and opinions. I’ve sat down with people over major changes and brought their concerns to the table. From these discussions I keep a list of ideas and problems that people bring to me to take to CCP. I’m also available on Skype and Twitter as well as engaging in many e-mail discussions. When it comes to interacting with CCP a lot of time is spent advocating player concerns and worries. Even if it does not want to be heard or it is an old topic it comes back up. There is not always resolution. Not all of these make it into a large review. Some are not yet finalized and some are more quiet events. Yet advocating does simple things like create more clarity to players who do not understand what things like SSO are. It will, hopefully, do other things such as a better way to search through channels so that players with unsupported languages can more easily find each other. It is not easy and it is not always successful, but the effort is made. This review comes at an interesting point in the term. By this time, particularly given that I’m running again, I should have a string of accomplishments that I could hang my name off of, but I don’t. I should have the dedicated enthusiasm required to stay active for the entire term, but I don’t. I should have platitudes to offer and abounding praises. I certainly don’t have those. Instead, I find that I’m deeply frustrated and increasingly having to defend an institution in which I struggle to believe. When the CSM attempted to get looped into the new development model better, we sometimes started seeing items one day, perhaps two, before they were released. Even something as major as the 0.0 revamp has been a dead topic since the last summit. This is all the more frustrating because after the scuffle erupted from the CSM's name being used to promote changes we didn't endorse, we had a meeting where we were assured that we would be kept in the loop. This is fine as long as everyone agrees, but over the course of even this term, everyone agreeing on everything is an impossibility. With short one-year terms and no compelling reason to engage with the CSM, this means that ignoring the CSM or members of the CSM is entirely viable. CCP Falcon and CCP Leeloo have been tremendous. They have waged many battles on the CSM's behalf, and it is in them that the hope of institution is vested. If it weren't for them, their hard work, dedication, and patience, I would have given up long ago and certainly wouldn't be standing for re-election. The CSM itself and various individual members have accomplished goals and played an important role in a few key situations. There is thus still cause to try and push for change. So instead of giving up, I've been attempting to reform the organization. I don't like organizational inefficiencies, and if CCP isn't going to talk to me about my other specialty areas, I figure reform attempts are the best way to remain engaged. The CSM would, if used correctly, be an incredible asset. The problem is that there are certain institutional and attitudinal blocks that prevent the CSM from reaching its potential. Some CSM side, some CCP side. To date, I've had very little success in this regard, in no small part due to only recently realizing the magnitude of the issue. It also likely hasn't helped that I call things like I see them. So that's what I've been doing. I spent the first half of my term trying to illuminate player psychology from my unique position, and I spent the rest of it trying to figure out how to get the CSM and CCP in a place where such input from myself and others on various topics wouldn't be summarily dismissed out of hand. I don't think pretty little lies or carefully constructed facades do the CSM or CCP any service. If the institution is to properly evolve, we're going to have to take a hard look at some uncomfortable truths and try to figure out how to address them. At the end of the day, the CSM and CCP aspire to the same goals. These are a robust game and a vibrant community. If we can ever work well together, the whole will assuredly be greater than the sum of the parts. It may not be possible, but the potential gains make it worth attempting. What have we done or more specifically what have I done. Well, the biggest specific thing I pushed for (and got) was the Bowhead project. The more vague goal early in the term was work with the PvE team on incursions as well as representing highsec and the casual play style. The most effort I made was in keeping the lines of communication with players going via the eve Forums and through podcasts. I have been a regular on Podside and Eve Radio DJ Wiggles show as well as 'hotdropping' several others. I tried to be open to input from whatever source and, like Sugar, keep a book in which I take notes of things to talk to the devs about. As a group the CSM has spent a lot of time adapting to the new faster (MUCH faster) pace of the release schedule. Things change so quickly that some does not get seen by us much sooner than it is is seen on the test server. Other broader strokes we try to get input as early as is possible. Do we know everything and see everything? No, and I am not sure that that is even possible. A summit often covers projects coming up but then that project is done and two more run before another summit happens. This goes back to CSM 8's attempt to build more bridges to other teams and get more lines of communication open to the devs. Progress and change have been made. The decision to eliminate officers showed that we could function without them. Personal projects and one on one contact with devs started to replace the idea that we need to talk to entire teams taking them all away from the job at hand. Helping bridge the gap between players and the dev teams have lead to a more open and direct exchange of ideas with CSM acting as enablers, not the conduit itself. Hell, if we do this well enough we might manage to organize ourselves right out of a job. Or, better yet, change the job as this one will be done and we can take on a different aspect. In the end I think that is the biggest truth about CSM, it is what we allow it to be and it changes to match the environment it is in. I have enjoyed the past two terms watching the changes happen and hope for another to continue helping it grow, change, become something more, even if I do not know what the more will be. It was well known that I was a staunch supporter of the CSM process before being elected myself onto CSM 9. 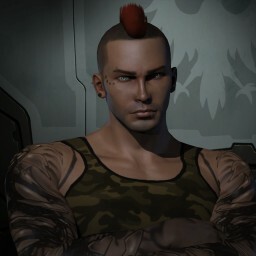 I was of the firm belief that while the process wasn’t perfect, the CSM offered a very real way of allowing players to actively engage CCP in improving Eve Online. I am happy to say that for the most part, my suspicions have been confirmed. I had set goals I wanted to achieve this term and there were two key points in particular. The first was to see some concrete progress on fixing the well-documented issues on 0.0. While I can take no credit for this coming to the table during CSM’s term – CCP had already decided that this was to be a high priority during our tenure – I feel we have worked hard where we could to guide CCP in what the players are thinking towards fixes with 0.0. An example would be how the jump drive changes were originally slated to affect Jump Freighters. It was clear to us that 0.0 industry was not yet in a place where such a nerf would be appropriate and we were sure to let CCP know this as did the community at large. 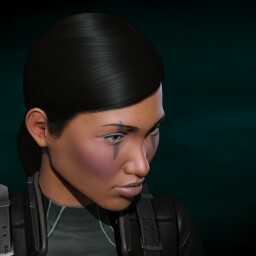 The second goal I had was to be a clear communication conduit from CCP to the player base and vice versa. 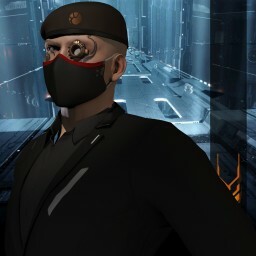 Through the weekly CSM 9 Reports I have been doing throughout the entirety of my term as well as engaging players through my podcast, my website and through forums such as Zulu and #tweetfleet I feel people find me approachable when it comes to their concerns with the game as well as providing regular updates on what we are actually up to. This is something that can always be improved upon of course and I hope to up the ante if elected to CSM X. A couple of things that came slightly out of the blue which I wanted resolved have come to me from the player base since I was elected. The first was the issue of input automation which I very quickly engaged CCP on with initially, limited success. I requested a session to discuss this at length at the Summer Summit and you can read how that particular conversation went in the Summit Minutes. It was clear that this urgently needed addressing so it was fantastic to see CCP clarify what was a previously grey area and to feel I personally played a significant part in that. I also wanted to address how CCP devs actively play the game in a very real way after the issue was brought up by a player. After all, how can a dev balance the demands of a large 0.0 bloc FC if they can’t experience said gameplay themselves? This is something I pointed at CCP Rise and Fozzie when they came on Crossing Zebras a few weeks back and I believe CCP will act on this in the not too distant future. So much of what CSM does can be difficult to define to the player base because it is suggestions and tweaks here and there. I’m pleased that during my tenure, I’ve been able to get concrete things achieved in working with CCP and it is proof to me that the system works. This term's been great. While there's been some misunderstandings (generally oversights, like the jump changes, or just too short a time to react), in general, communication's been pretty good. I was elected on a platform of representing both industrialists, and third party developers. While a lot of the industrial changes were locked in before I was elected (big changes need a good chunk of work) A bunch of fine tuning happened. I'm pretty happy with how all of that's worked out. Still room for improvement, when teams get reintroduced for example, but it's generally small tweaks, rather than anything big. When it comes to third party development, great things have been happening. SSO has been deployed, and is in use by many sites. Not only that, but CREST is finally up and running, serving market data to a number of sites, where it's then federated out. Your support has proven to CCP how important third party development is to the player base, which has given mandate to developers like CCP Foxfour to work on getting yet more tools into our hands. I can't wait to see what happens next. A great example of how the CSM can interact with CCP, is the recent addition of the small ore anomaly in the rookie systems. With the recent influx of newbies, CCP Manifest gave members of the CSM access to the Rookie help channel (we may have badgered him a little) A number of us have been spending time there, helping out, and making notes about the questions we've seen on a regular basis. One of them was 'Where do I mine?' closely followed by 'where do I find asteroids?' I put up a thread on the CSM forums, asking for something to be done. A few suggestions were thrown in, and we pointed the thread out to CCP Rise (as he's doing NPE stuff) A short while later, he pitched the anomaly as a solution. The job the the CSM is talking. Talking to players, to gather their concerns and goals, and talking to CCP, about what we think the game needs, and what our opinions are on the route they're taking. This needs, of course, for CCP to listen to us. Sometimes this breaks down, sometimes a dev just doesn't think to talk to us, but it's getting better. Yelling is (generally) not the route forwards. It's a conversation, which means you can't force it. If you think "I'll get elected to the CSM, and yell at CCP to make something happen", you're not going to get very far. Always think out your arguments, and don't get heated about it. No-one likes a yelling match, or to have their hand forced. Some people have said that being on the CSM takes a lot of time. It's true, if a touch misleading. It's not something you do for an hour a week, taking breaks whenever you want (unless you want to be useless.) You keep the conversation going, talking to CCP daily, responding to player concerns when they come in. It's time consuming in that you'll be doing something most days. And there are sometimes meetings which you should attend (and the summit takes a good chunk of time). But it's not like you're going to be doing nothing but that. All in all, this has been a good and productive term. I'm looking forwards to hopefully serving on CSM 10. CSM 9’s term has been incredibly productive, but challenging at times. This was especially true when it came to adapting the seven year old concept of the CSM to a faster, more productive release model that takes into account ten releases per year, rather than two expansions. While we’ve made good progress in this respect, there is still some way to go before the CSM’s transition to the new release model is complete and we can look at further expanding their role and interactions with CCP. This transition has to occur in a comfortable time frame, however it needs to be free from rash decisions and based on what we have learned during the course of CSM 9’s term. During the course of their term, the council’s delegates have proven the CSM to be invaluable when CCP has been required to make difficult and sometimes controversial decisions when making changes to fundamental gameplay elements. Examples of this are during the wormhole mass changes, and of course the force projection changes, particularly those related to jump freighters. The CSM has also proved to be incredibly helpful in crisis management situations, with the mettle of both CCP and the council being tested during the issues surrounding SOMERblink during the summer months of 2014. The openness and candid responses that the CSM gave during this time were in a large part responsible for the timely resolution of the situation, and many members of the council took extra time out from their daily lives and commitments to atten extremely short notice meetings so that we could bring the situation to a resolution as swiftly as possible. The same was very much true during the issues we experienced right after Fanfest relating to malicious damage made to the newly erected EVE sculpture in Reykjavik, with members of the council assisting behind the scenes to bring the issue to a timely and direct resolution. As a player, before coming to CCP, I was never fully sold on the value or the validity of the CSM as an institution, and was often openly critical of it. After seeing the terms of CSM 8 and CSM 9 from “behind the scenes” during my time at CCP so far, that opinion has changed drastically and I’m looking forward to working with the tenth council in 2015 in order to further expand their role and their interactions with CCP. 2014 has been a year full of some really big changes to how we develop EVE Online. Almost every process for EVE development is touched by the change in how we release updates to EVE Online, and the structure and working processes for the CSM are no exception. The 9th Council of Stellar Management have made great contributions to EVE Online during this year, giving us feedback on both designs for EVE and tricky community issues such as input multiplexing. My goal for 2015 and how we work with the next CSM is twofold: To make it easy for EVE development teams to work with the CSM, and to find ways to give CSM more empowerment and direct access to information about development and plans so that they can keep bringing the player perspective into the heart of development of EVE Online. I want to say a great thank you to CSM9 for all their work and contributions to EVE Online in the past year, and I look forward to working with the next council. 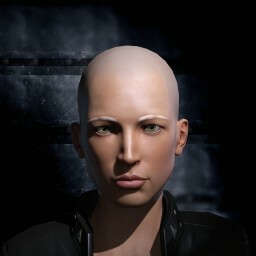 I hope that all players take the opportunity to vote for people who can represent your perspective in EVE. Despite some challenges in transitioning to the new release model in the latter half of the term, the performance and dedication of the delegates of CSM 9 has been exemplary, and we are looking forward to working with the next council in 2015, with the hope that many of the CSM 9 delegates will be successfully re-elected to continue their work. Keep an eye on our official forums and this Devblog feed for more information regarding the CSM, and details of the upcoming candidacy and election periods for CSM X.